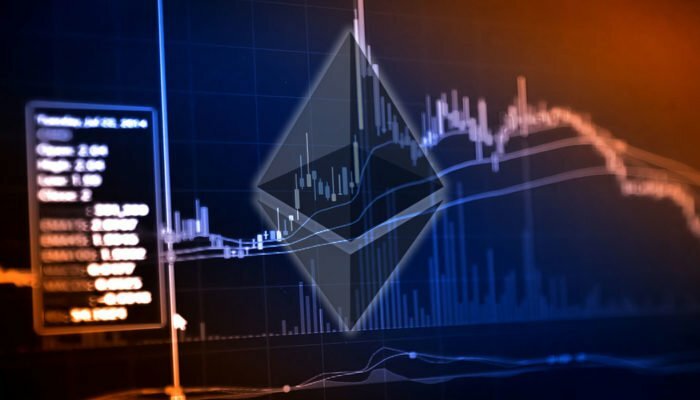 ETH price is struggling to move above $742-743, but it remains supported against the US Dollar. Yesterday’s highlighted key bullish trend line with current support at $715 is intact on the hourly chart of ETH/USD (data feed via Kraken). The pair has to move above the $742-743 resistance zone to accelerate upsides in the near term. Ethereum price is placed nicely in a bullish zone against the US Dollar and Bitcoin. 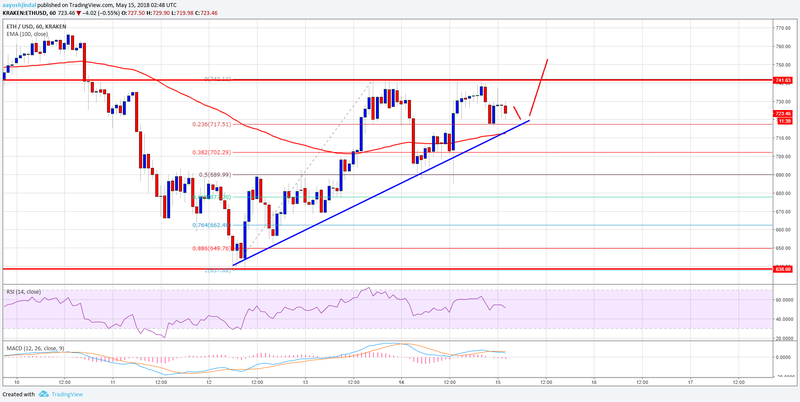 ETH/USD may climb higher if buyers manage to break the $742 and $743 resistance levels. There were decent bullish moves above $700 during the past few hours in ETH price against the US Dollar. The price traded higher above $730, but it was not able break the $742 and $743 resistance levels. There were more than four attempts by buyers to clear the $743 hurdle, but they failed. At the moment, the price is correcting lower and is trading near the $720 level. An initial support on the downside sits around the 23.6% Fib retracement level of the last leg from the $637 low to $743 high. However, the most important support is near $715, which is close to yesterday’s highlighted key bullish trend line on the hourly chart of ETH/USD. Moreover, the 100 hourly simple moving average is also positioned around the trend line support near $710. Therefore, the $710-715 zone is a decent buy area and it is likely to prevent declines. Below $710, the next major support is around the 50% Fib retracement level of the last leg from the $637 low to $743 high at $689. Looking at the chart, the price remains well supported above $700. It may trade in a range for a few more hours above $700 before making the next move. There are high chances of it breaking $743 as long as ETH is above the 100 hourly SMA. Hourly MACD – The MACD is currently placed slightly in the bearish zone. Hourly RSI – The RSI is just near the 50 level.